Jon Ericson asked, Does the tag synonym suggestion system work? It’s been clear for a very long time now that we needed some kind of tag synonym system, one that the community itself could maintain and control without having to bend the ear of a moderator. With a lot of help from Shog, I did some analysis of Tag Synonyms and how they get approved. I took the 500 most recent tag synonym suggestions on SO and looked at what percent has been approved by moderators vs. the community (the people intended to maintain the synonym system per the blog post above). Out of 500 proposed synonyms, 228 were pending, and 272 were approved (54.4% approval rate). Of the pending tags, the average time since the synonym suggestion was created is 159 days (median 157 days). This is only the 500 newest synonyms created within the past year (the oldest request was from Nov. 30th, 2012). Of the 272 approved, 194 were created by moderators (someone with a diamond next to their name on the 'creator' field). That is 71.3% of the approved synonyms having been handled entirely by someone other than the community (a quick look at the tag-synonyms and synonym-request tags will show that this is a generally more reliable method of getting a tag synonym finished). Shog also did his own analysis on the last year. 89 out of 372 synonyms were approved by mods. So I got 71.3%, he got 76.1% handled by mods rather than the community. He also provided two data dumps of time before approval. He gave the number of days before a synonym got approved by the community, from the beginning of time, and just for the past 2 years. While the time to get a synonym approved was only 15 days from the beginning of time, over the past 2 years it has taken 46 days. The pending synonyms currently have an average age of over 150 days as stated above. I do not want to make voting super easy, also I want to restrict voting to tag experts. He has definitely succeeded in the first part, but unless the mods are omniscient (not saying they aren't), chances are that there could be some improvement in the second part. First we need to make it easier for the experts to start voting on synonyms. This is the current workflow for finding a tag synonym and voting on it. Step 2: Click "Synonyms (3)"
Note: Despite it saying Synonyms (3), that doesn't mean there are 3 pending synonyms. It means the tag has 3 synonyms, and doesn't even indicate whether one is pending or not. So our ambitious tag-synonymizers need to click on a link with no knowledge of whether or not a synonym request is actually pending, and then they have to actually have enough score in that tag to actually suggest the synonym. This means that there is a barrier to finding the suggested synonym even before the restriction on voting. Waffles has definitely succeeded in making it difficult to vote on these. There are two different 'types' of synonym creation. For the sake of this example, let's talk about google-geochart being made a synonym of google-visualization. If you look at google-visualization you will notice that google-geochart is a synonym now. But there are still questions tagged google-geochart, what gives? Normal tag synonyms created by your average user will not retag existing questions. Searching for [google-geochart] as a tag will redirect you to [google-visualization], but the old tag will still remain as a marker until those posts are edited. So the old tags sticks around as a marker, but there is no actual way to use the marker for anything of value. That means that making a synonym has the effect of removing a piece of useful information which may be one reason it isn't taken so lightly and is hard to implement for normal folks. At the same time, tags can be merged by moderators, so that all questions with the old tag are automatically adjusted to be marked with the new tag instead. This also eliminates the additional information, but does it in one fell swoop. Synonyms are supposed to aid classification but actually kind of haphazardly remove information. This means that if at some later point in time google-geochart actually reaches a ton of users who want additional guidance, the old questions with that tag will require intervention from the developers (most likely) to get that information back and allow the information to be indexed properly. This is less than ideal. This could be shown to users who have the score, or to prevent spam for tags with lots of users with the required score, only users who have the tag in their favorites. The notification could be made monthly, or weekly, or one-time, but users with interest in that tag should at least know that something is being proposed so that they can move the process along. This link would be hidden if there are no suggestions, and would cause absolutely no change to the layout of the page. We could add space for people to add a comment, add information on the tag wiki (excerpt with a link to full description) for the suggested synonym, and put it all in the same place allowing users to more easily determine if they are related. Then when a user wants to find details they don't have to do the legwork themselves minimizing the burden on them. It also allows the person suggesting to make links to things that explain why they are synonyms. Win-win for everyone involved. And less burden on the moderators. Let's say I want to propose that c# is a synonym of c++ -- now I don't have reputation in either tag, but I could just go and retag one of my previous questions with c++ and then I can vote on it anyway. In times when I'd like to use this 'trick' it shouldn't be necessary, in times when I shouldn't use this trick, I can use it anyway. The limitation is silly as a result (it doesn't help good behavior or prevent bad). Remove the score limitation for trusted users over a certain reputation (5k? 7.5k? 10k?) that allows them to make synonym suggestions (but not vote on them without the requisite score in that tag). This will allow good-natured users who are driven by a categorical imperative to actually start suggesting synonyms for others to determine the value of (much like, say, suggested edits, or flagging to close). If Synonyms were easier to 'undo' as it were, we would be able to be a bit more loose with them since we wouldn't lose the ability to categorize more specifically, while still having all the questions in the larger group easily accessible. Tag Hierarchy/Trees have been discussed in the past, but this would be a far simpler way to handle it, which would allow synonyms to put together useful information (for instance, there are 13 tags related to google-maps), while not barring someone from searching for a specific subset (say google-maps-api-3, or from splitting that off later if it needs to be. The third suggestion was taken from my answer to Jon Ericson's question. The fourth suggestion is taken from Can we allow 7.5K users to suggest tag synonyms without a score of 5 in the tag? These suggestions are not mutually exclusive, nor are they exhaustive. Tag synonyms are great for grouping questions on related subjects together, especially when the small niche topics get little visibility on their own. I would like to encourage SE to put this fix on their to-do list. I recently proposed a tag change on Worldbuilding Meta and got a lot of support for the idea of making one tag a synonym of the other. I had enough rep and votes in the tags to make the proposal, so I did. It did not show up in anyone's review queue (including someone with very high rep who was able to use the link I provided and vote on it, so it wasn't a matter of the system weeding out people not eligible to vote). I did not get any notifications when people voted. Ultimately, a moderator made an argument for keeping both tags separate and we on Meta went with that. I just checked and the synonym proposal is simply gone. I don't know if it got -2 total votes and was automatically deleted or if a moderator removed it. Either way, I never got a notification. People who formally suggest tag synonyms should be notified of votes and approval/removal. Tag synonym votes should be part of the review system for users with appropriate rep levels. If it can be limited to users able to vote on it (enough tag points), that's even better. The suggester should be able to add a link on the synonym voting page that goes to the Meta discussion, or add a comment stating why the tag should have a synonym. Not the answer you're looking for? 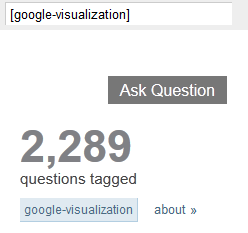 Browse other questions tagged feature-request tags tag-synonyms . How do tag merge requests work?